Ten pound pom I was a "10 pound pom" who arrived in Australia from Britain in 1956 (on the assisted passage migration scheme that ran from 1947 until 1982 with subsidised fares of £10). To get a world cruise for £10 is not a bad deal. It was a once-in-a-lifetime experience for a 12-year-old boy from Wickford, in Essex. The ship we migrated on " The Otranto " was a first world war troopship that was on its last voyage before going to the knackers. It broke down about six times, its fuel system ruptured and leaked into the freshwater system so that everything we ate for days gave us diarrhoea, then the cook died at sea and had to be winched up out of the galley, then the toilets on F-deck " which was my deck, unfortunately " all backed up and teams of sailors had to go below and scoop the sewage up with hairnets. And the Australians had the audacity to call us "whingeing poms"! A final deadline I have terminal cancer. I really am going through hell. I can feel that at any moment I am going to die; it's a terrible thing to feel. I am writing about the cruise that gave me wanderlust, because I've started the book of my life, called My Life on Earth. I'm weighing up, can I do the book? I feel like s*** every day but I have to keep going. The other book I am writing is called Coming Home to Die. This is the story of my cancer. I have written four novels and five non-fiction books. Hedonistic Hong Kong My life really began when I arrived in Hong Kong. I felt like I came alive after I came off the docks in Kowloon. One minute I am a kid from Australia, the next minute I am sitting at my desk, and a guy walks in and puts a cardboard mat under my feet, scribbles around it, goes away and comes back two hours later with an absolute top-class pair of shoes. I was 23. Hong Kong was all the things that one would like at that age: there were great bars and nightclubs, life was one whirl of hedonism. It was the jumping off point to where and what I passionately wanted to be at that time " a war correspondent in Vietnam. Dodging bullets in 'Nam I spent nearly two years, between 1966 and 1968, covering the brutal conflict in Vietnam, one of a small legion of young gung-ho journalists and photographers. I was a baochi, which refers to a printed or embroidered insignia we wore on our military fatigues. It meant correspondent, non-combatant, civilian " don't shoot me. For baochi, it meant that bullets were supposed to screech to a halt in front of us, dropping to the ground, or change direction in mid-flight. Not everyone was so lucky. 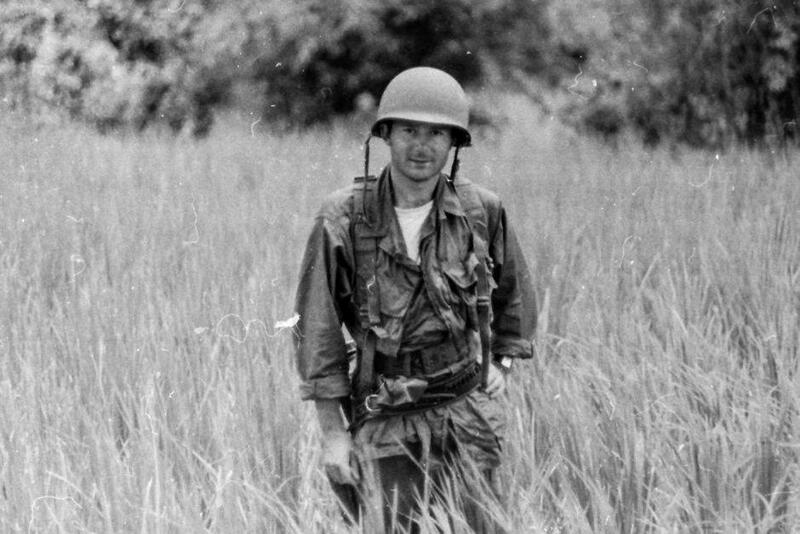 Among the younger, more gung-ho journalists and photographers in Vietnam, Dana Stone stood out as a living legend for his courage and his ability to find and winkle his way into major action in the field. It was said he was even allowed by unit commanders to take the point position on operations so he could get the best action pictures. On April 6, 1970, Dana and Sean Flynn, son of the movie star Errol Flynn, rode out of the Cambodian capital Phnom Penh on a motorbike searching for North Vietnamese regulars operating in Cambodia. It was reported they were captured by the NVA (North Vietnamese Army), who turned them over to the dreaded Khmer Rouge. Their bodies have never been found. I took a picture of Dana during a firefight with NVA regulars on the highway near Da Nang. 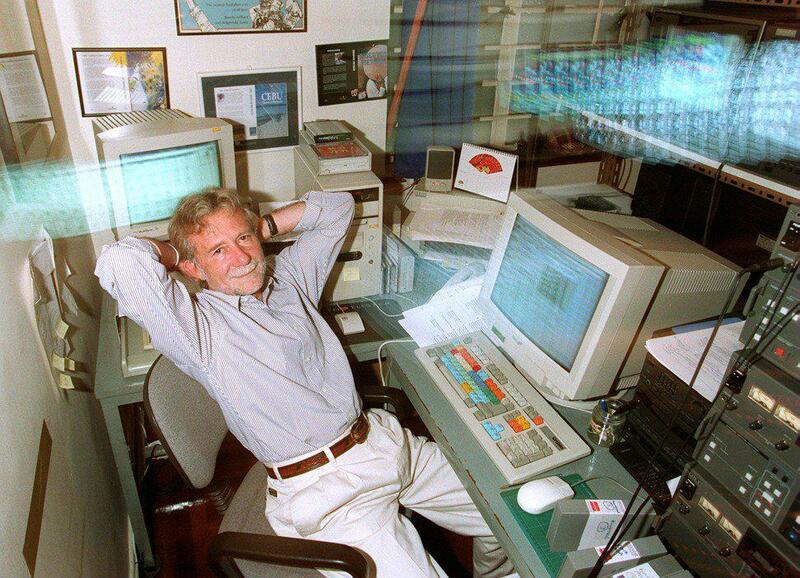 My photo is my testament to a greatly admired Vietnam colleague. Ravages of war While 50,000 Americans lost their lives in Vietnam, more than double that number of veterans have committed suicide since. It was not just vets who went off the rails after the war: Saigon gave correspondents like me the ultimate experience, but it also took something away. It made much of life thereafter seem meaningless and mundane. All that against the backdrop of abiding melancholy and occa­sional hallucinations in the dead of night. I suffered from post-traumatic stress disorder for about 15 years after the Vietnam war. Then I met a psychologist whose expertise was Vietnam vets. He was dealing with a lot of vets who had the same problems as me. They all buckled under fire. And they all thought it was the most terrible thing in life that you could do. That you were a coward. 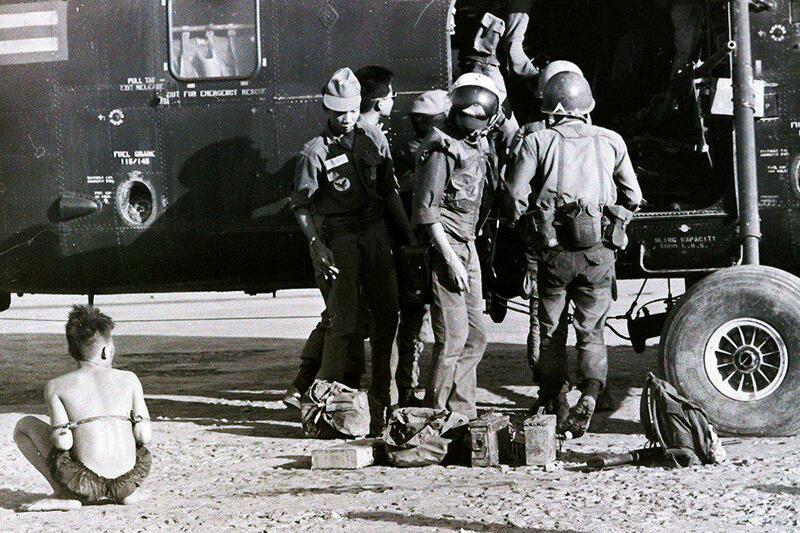 Mine started after we got hit by the North Vietnamese in the Central Highlands in October 1967. It was a terrifying moment, having a gun in my hand when I was not supposed to be a combatant. Some guy threw it at me and said, "Here, don't worry " when they start coming through the bushes it's time to worry." And the next thing the noise was coming through the bushes. I went into a complete and utter "some other place" state. I immediately blamed myself for it. I thought it was my fault that I didn't respond the way I was supposed to, which was to open fire and blast everything around me. The point is, though, that most men who are supposed to do that aren't trained for it either. Breaking news I wanted to be a top-flight journalist. I wanted to be the guy who did these sorts of things. I guess by the time of Beirut (the Lebanese Civil War, 1975-1990), I had whet my blade in Vietnam and I was ready to do it again. Beirut was a different war to Vietnam. You had to speak Arabic. You needed more to get the story. You needed to have good contacts. If you didn't have that, you could forget it. And you had to speak Arabic. You definitely needed to understand what was happening on both sides. We got by. Journos always do. I was part of the crew who were the first to film the IRA bombing in Brighton outside Margaret Thatcher's hotel (at the Conservative Party conference, in 1984). That particular night I happened to be on duty when cars came marauding down the street. Obviously something was going on. I rang the police. The cop said, "It's the IRA at Thatcher's hotel." I immediately began running. I grabbed the cameraman and sound man and we beat our way through police lines. We finally got there by getting down onto the sands of Brighton. Bits and pieces were still falling off the hotel and bodies were being carried out. The reporter got in with his mic and started doing his job and we shot over an hour's worth of footage. The cameraman shouted at me "One hour" and he threw me the tape and I started running back to the centre where we were all based. I saw someone out of the corner of my eye come running at me. I thought, "Special Branch". He was ready to run right through me. He was out to kill me. He thought I was IRA. I just stood there and put the tape over my head and shouted, "BBC, we shot some tape. BBC, I've got some tape. This is the BBC." By the time he reached me, he had decided not to kill me. In fact, he escorted me upstairs to the newsroom and we put the stuff to air. It was the first time the BBC aired its morning news an hour early. Back in Aus I'm now back in Australia with my second wife, Jan O'Neill, working as artists in a small, warm, friendly "heritage" town called Canowindra, in New South Wales. Jan and I teamed up to produce videos when we met in Hong Kong in 1984. I have two boys, Nick, 43, who is an artist, and Luke, 40, who works for a magazine. They both live in the UK and are very supportive of me. They, along with my ex-wife (Therese), came over from the UK to visit me for my 75th birthday party in April. It was quite the family get-together. 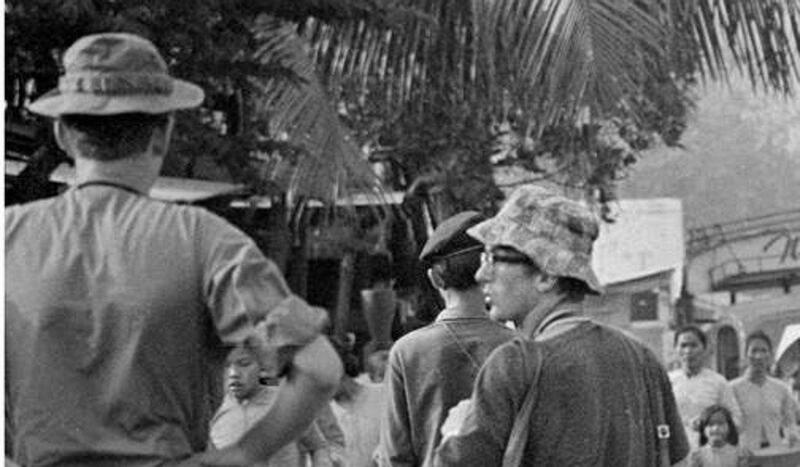 An exhibition of Derek Maitland's Vietnam war photos at the Foreign Correspondents' Club, in Central, ends on October 7.